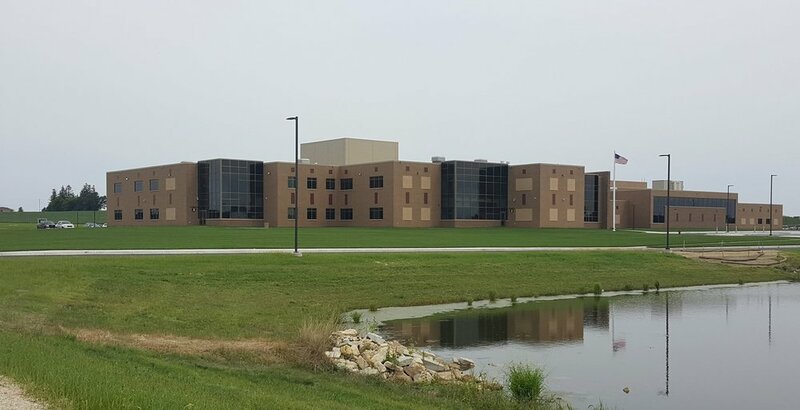 HEI provided the engineering design services for this new Intermediate school that opened in September of 2016 to approximately 600 students. The school is unique in that It will be divided into neighborhoods instead of classrooms. The main first-floor corridor is Main Street and on the second floor, it's Broadway Avenue. Half of each grade is on each floor. There are no permanent desks but smaller desks on rollers that can be moved in and around a smaller room or in the main area that is about 60-feet-by-40-feet. Chairs range from traditional, to three kinds for "wigglers" who need to burn off some energy. They include a Zenergy ball chair that's like a tall cushion to get out the wiggles and also teach good posture. There are scores of electrical outlets in each main area for plugging in many kinds of devices including an iPod for each student.